The musical version of the Tony award winning musical by Stephen Sondheim and James Lapine. The Baker and his wife (James Corden and Emily Blunt), Little Red Riding Hood (Lilla Crawford), Cinderella (Anna Kendrick), Rapunzel and Jack, of beanstalk fame, all come together in a sort of musical "fractured fairy tale" with brilliant music and lyrics by Stephen Sondheim. All of the characters have a wish - Cinderella to attend the festival, Jack wishes his cow would give milk and the baker and his wife are wishing for a child. Enter The Witch (Meryl Streep), who lives next door to the baker and his wife. She reveals why they have not been successful having a child. Their house is cursed because the previous occupant was a bad neighbor, eating all of her greens from her garden. To break the curse the baker and his wife must bring her a red cloak, a white cow, a golden slipper and hair as yellow as corn so she can make a potion to release the curse. And so we are off and running. The first act is high spirited and fun as the baker and his wife try to fulfil The Witch's requests and the rest of the fairy tale characters live out their stories. The second act gets dark as The Woods - Life - starts interfering with the fairy tale. Meryl Streep will certainly get a Best Supporting Actress nomination for her turn as The Witch. Her rendition of "Last Midnight" brought tears to my eyes. Anna Kendrick was lovely as Cinderella and Emily Blunt and James Corden were wonderful (Corden will be taking Craig Ferguson's place on "The Late Late Show). It was great to see Tracey Ullman again as Jack's mother. Chris Pine as Prince Charming would have done better to play it straight. He camped it up too much, but his song "Agony" along with Rapunzel's Prince was a hoot as was his line: "I wasn't brought up to be sincere. I was brought up to be charming." Johnny Depp also hammed it up as The Wolf, playing him as a creepy perv, but small criticisms for a great movie. Often when Broadway musicals are adapted for the screen, they are not successful. Think "A Chorus Line." But then there are those where the film adaptation enhances it because film has the ability to use special effects to expand the visual aspects. That is what happened here. Film brings the play even more to life. Director Rob Marshall made the musical "Chicago" a huge hit. 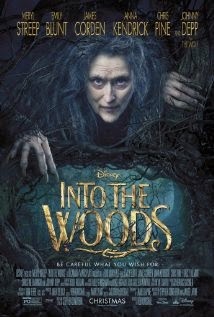 He has done it again with "Into the Woods." Expect an Oscar nomination for him too. As I sat in the theatre, I wondered how many of my fellow viewers did not know this was a musical. The trailers for this film didn't show one moment of music, thus reinforcing my belief that producers think we don't like musicals and are scared of them. Well, some people don't, but many of us do, especially if the musical is well made. And this one is a beauty. 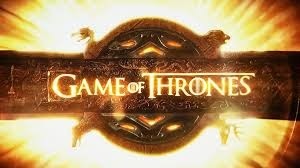 From the acting to the set design to the book and music, this adaptation to the screen is first rate. And even if you think you don't like musicals, Sondheim is more than "just a musical." His lyrics are literary and witty and his rhyming structure a thing to wonder at. Rosy the Reviewer says...One of the Best of the Year and sure to be nominated for a Best Picture Oscar. Don't miss it. A dramatic representation of storm chasers presented documentary style. Two teen-aged brothers are the focus here with one filming a time capsule about himself. Their father is the vice principal of the school and the oldest son feels nothing he ever does is good enough for his dad. Enter a big old storm and that will certainly give them something to bond over. In addition to the teens, we have some daredevil rednecks who are trying out various stunts so they can become famous on YouTube. Think "Jackass." And the storm chasers who are riding around in an armored tank with stabilizers that can withstand winds of up to 170mph. What do you bet this particular storm will have winds higher than that? Everyone here is filming something: the teen, his time capsule; the "Jackass" guys, footage for YouTube; and the storm chasers are filming a documentary. So we have the teenagers, the storm chasers and the "Jackass" guys - and wouldn't you know it's graduation day at Silverton High School and the graduation is outside. Talk about a "Perfect Storm." The problem is, there is nothing perfect about this film. Not even close. For one thing, when some characters try to outrun the tornado, which I always thought we were told NOT to do, why didn't they go AWAY from the direction the storm was heading? Oh, right, then we wouldn't have any tension. 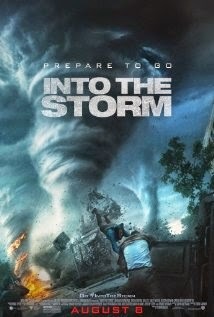 However, I will say the storm sequences were quite good and I can imagine seeing this in 3D would be exciting. Rosy the Reviewer says...if you can overlook the acting and the dialogue (or lack of), you might enjoy the tornado footage. That's the real star here. This is Ari Cohen's blog "Advanced Style" brought to life. Ari Cohen has been documenting stylish women of a certain age (they have to be over 50) that he spots on the streets of New York City for the last six years on his blog "Advanced Style" and in a book of the same name. Here with the help of director Lina Piloplyte, we get to know seven lovely ladies between the ages of 62 and 95 who dress with panache and style. No cat ladies these, stuck in dingy apartments just waiting for the grim reaper. These women are out on the streets of New York in creative clothes eschewing the hindrances of old age and expressing themselves. These women use the streets of New York City as their own private runway and prove there is no time limit on style. We see these ladies at home and follow them around New York City as they embrace life with humor and wit. Ilona Royce Smithkin, 93, is a singer who is still performing. Her trademark is her red eyelashes that she makes out of her own hair. However, the oldest is 95-year-old Zelda Kaplan. She opines: "Good style improves the environment for everyone." She lives life to the fullest but you get the feeling that she knows it won't last much longer. We get fashion advice (making bracelets out of toilet paper rolls) as well as their views on life. These ladies are not afraid to speak their minds. Joyce Capati, 80, says, "I never wanted to look young. I wanted to look great!" 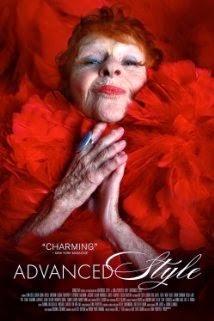 This is a light little film, heavy with inspiration. Rosy the Reviewer says...We all want to age with grace and style, right? 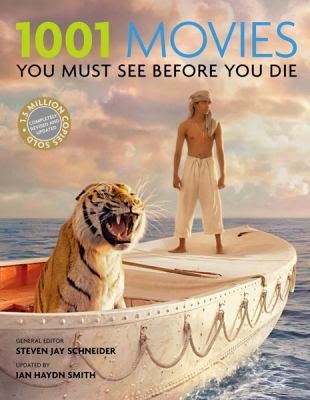 I know that I do and if you want some inspiration, watch this film. Emmi is a cleaning lady in her 60's and Ali is a Moroccan guest worker in Munich twenty years her junior. They fall in love despite their age and the racism that surrounds them. They meet as a joke when Emmi finds herself in a bar seeking shelter from the rain. A German girl goads Ali into asking "the old lady" to dance, which he does, but then her kindness toward him softens his heart and they embark upon an unlikely love affair, despite the hostility and mockery they encounter. This was homage to Douglas Sirk, one of Fassbinder's cinematic heroes and his film, "All That Heaven Allows" and later we see the same story in "Far from Heaven." He captures the lush cinematography and melodrama that Sirk was known for. Fassbinder's camera lingers over his stars, especially Brigitte Mira, who plays Emmi, and captures the beauty that emanates out of an otherwise plain older woman. Directed by German auteur Rainer Werner Fassbinder, this story of an unlikely love affair is riveting in its simplicity and takes on the racism toward Arab people long before 9/11. But the film is also about loneliness and how cold the world can be. 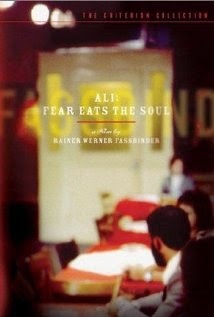 Fassbinder was influenced by the French New Wave and is credited with being the father of the New German Cinema. He was incredibly prolific. Starting at age 21, he made over 40 films and TV dramas in only 15 years. He died at 37 of a drug overdose. Why it's a Must See: "Technically flawless, deceptively simple, and avoiding excesses, it is about problems that are timely and timeless in implications." 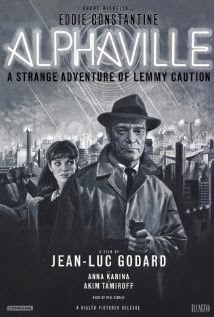 "Alphaville" is a futuristic blend of science fiction, film noir, and satire directed by Jean-Luc Godard. Eddie Constantine, with his craggy, punch drunk face, stars as Lemmy Caution, a hard-boiled detective who is sent into a city controlled by a giant computer named Alpha 60. His mission is to make contact with Professor von Braun, a famous scientist who has fallen mysteriously silent, and is believed to be suppressed by the computer. Constantine was also famous for being a singer discovered by Edith Piaf and who subsequently became her lover. Director Jean-Luc Godard is arguably the most influential director of the French New Wave and is probably best known for his film "Breathless." He and his contemporaries criticized mainstream French Cinema that eschewed innovation in favor of craft and favored the works of the past rather than tackling current social issues. Younger filmmakers began to make their own films that also challenged the conventions of traditional Hollywood. He expressed his political views in his films as well as his knowledge of film history through allusions in his films and existentialism is a theme running throughout. Here he is bringing up the theme of worshiping technology and it taking over our lives. And it's only 1965! Why it's a Must See: "Shooting in cleverly selected Paris locations, [Godard] discovers the seeds of totalitarian future in contemporary hotel lobbies, neon signage, office buildings, and bureaucratic waiting rooms...a rare futurist vision that simply does not date." 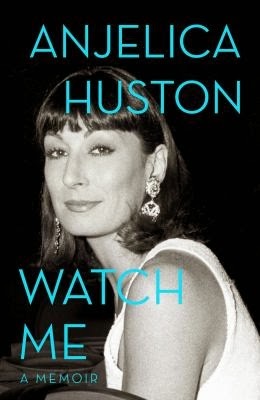 Huston continues her life's story since her first book, "A Story Lately Told,( which I reviewed in my December 16 post)." This one includes her liaisons with Jack Nicholson and Ryan O'Neal (among others) and the advent of her acting career. She starts where she left off, leaving an abusive relationship and spending time on her career. So Anjelica made the decision to really work on becoming an actress. This one is not as elegant as her first one. I have never seen so much name-dropping. Yes, we know she came from "movie royalty" and had access to all kinds of celebrities from a young age, but it gets old after awhile. It reads like she is using her diary as a guide and just transposing it into book form. It feels flat compared to her first book. Rosy the Reviewer says...However, if you are a celebrity watcher, there is lots of juicy stuff here.